Wondering if we have something similar here in Australia? I currently have sunbeam em7000 but trying to downsize and switch to something smaller and simpler for everyone including my wife . The Brazen that Javaphile mentioned does a really good job and is simple to use. I use it at work now to try to tempt some of the staff away from their instant coffee muck. After about 6 minutes you have a pot of very tasty drip coffee. Wow. Thats great looking machine. Will look into the video in operation etc. Is there anything around the 100-150$ mark? Is there anything around the 100-150$ mark? Possibly a preloved one if someone's crazy enough to sell one? So far, I know of only one sold 2nd hand. They're that good. caffaddict and matth3wh like this. i seen couple of the videos about brazen, looks really great. I have a Technivorm Moccamaster which has the approval of the specialty coffee associations of Europe and America. They are expensive, but are a high quality machine designed to last. There's plenty of reviews on youtube to check out. Dangg!!! $500 approx in AUD. Dont know if my wife approve haha. Know any other that doesnt break a bank? Around 150-200? If you're interested I can check to see if someone I know in WA is wanting to sell? 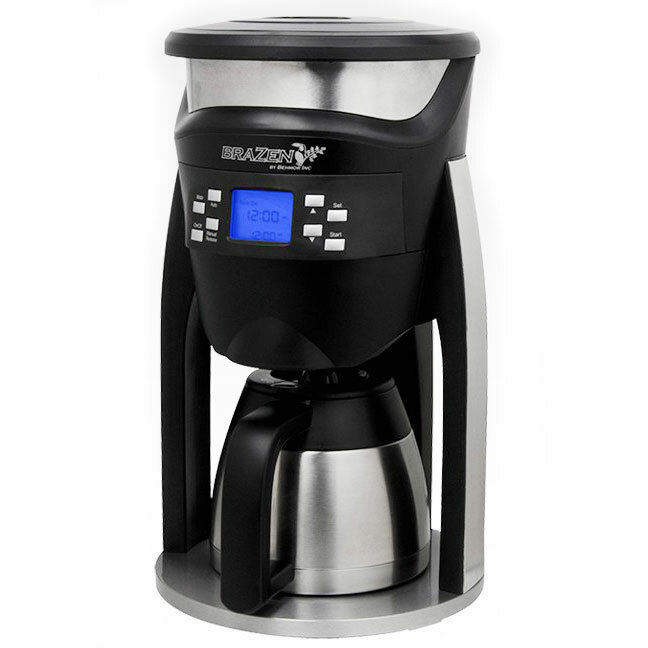 You could also look at the Bonavita coffee brewer. They seem to have good reviews and I think that have the specialty coffee association approval. sure, wouldnt hurt to know. thanks in advance! it seems they are too also on the expensive side. seems that Behmor Brazen Plus is the cheapest options $250 including postage. Do you have any children? You could possibly train them to be automatic drippers. All times are GMT +10. The time now is 07:37 PM.